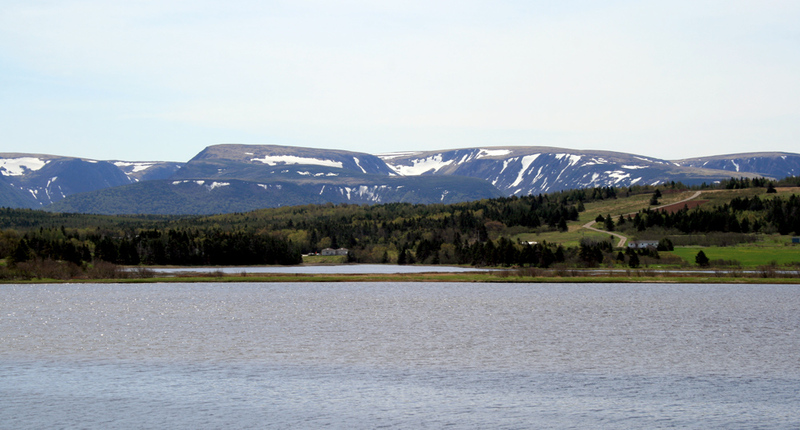 Newfoundland’s Codroy Valley – Beautiful AND Birdy! 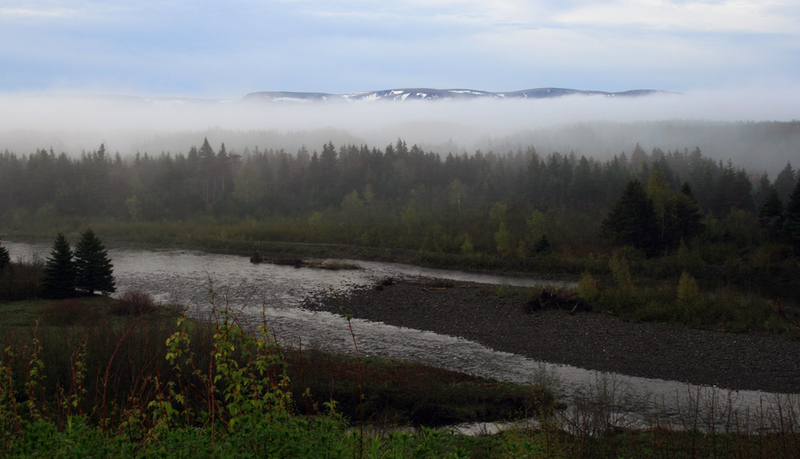 I spent most of last week visiting one of my favourite places in our beautiful province – the Codroy Valley. Located 900 km away in the very SW corner of the island, it’s not a place I have the opportunity to go very often … but I cherish every chance I get. Being much closer to the Maritime provinces both geographically (it’s a mere 150 km from Cape Breton) and ecologically, it is home to the greatest diversity of landbirds in all of Newfoundland. A number of species wander there regularly that are otherwise very uncommon or rare in the rest of Newfoundland, and a few have pushed the limits of their breeding range to include this small pocket of Acadian forest habitat. There are easily a dozen species that you can expect to find here but nowhere else in Newfoundland! There is stunning scenery at every turn in the Codroy Valley. This beautiful vista across the estuary and marsh, with rolling fields and the snow-peppered Long Range Mountains in the background, was right from our cabin window! I was invited to participate in the Feather & Folk Nature Festival – a relatively new and growing celebration of birds and culture. My dad joined me for the visit, and we soaked in the solitude, abundant nature and breathtaking vistas for four full days. I shared a selection of photos and interesting tidbits about birding in Newfoundland during a public presentation, led five fun outings with a group of eager birders, and chatted with locals about their wonderful piece of the world. I even enjoyed an opportunity to chat about the future of birding tourism both locally and throughout the province with representatives of the tourism and business communities. 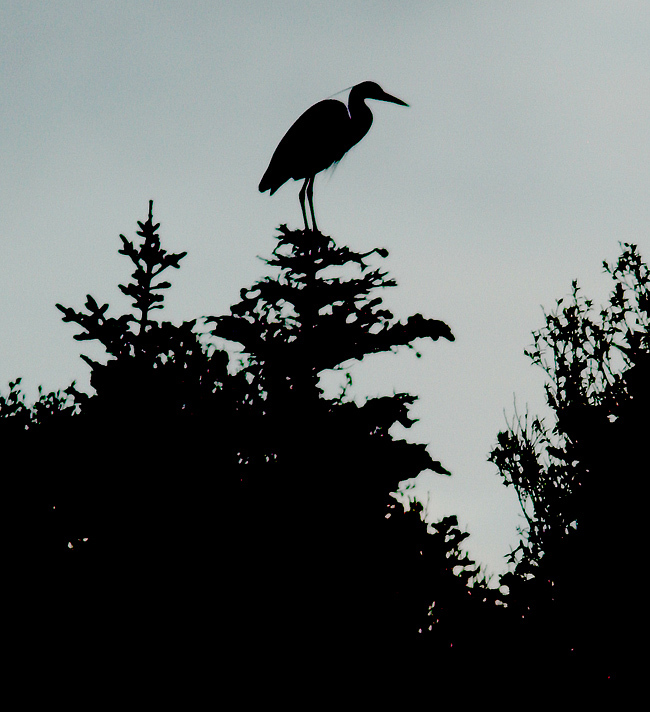 Great Blue Heron is an unofficial mascot for the Codroy Valley. It is the only place in our province that this species is known to breed (although anecdotally it may be spreading). This one greeted us from a treetop overlooking the estuary at sunrise. It was a fantastic trip … amazing birds, stunning scenery and so many wonderful people! The lush forests here are full of birds – and it is apparent as a rich chorus of song bubbles out from the tangled mixture of deciduous and coniferous trees at every stop. 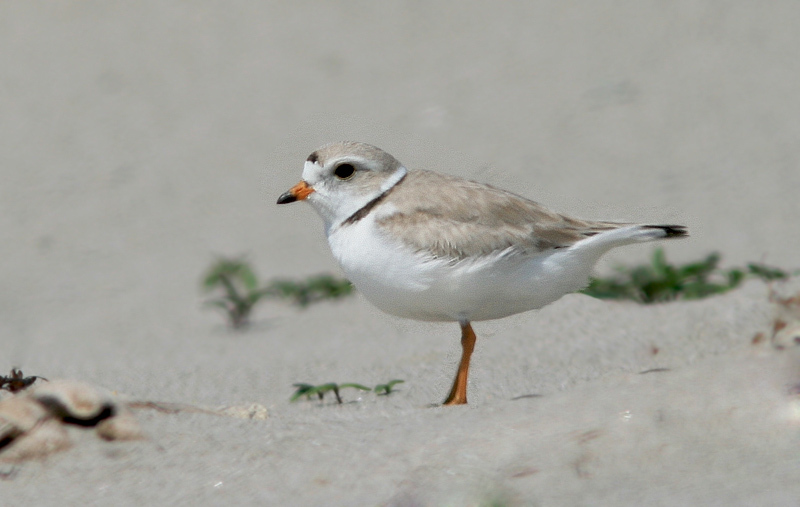 The large estuaries of the Grand Codroy and Little Codroy rivers are home to the island’s best variety of waterfowl, and the sandy beach at the river mouth is home to several shorebirds including the endangered Piping Plover. There was never a lack of birds or adventures … only a lack of time. I’m already looking forward to next year!! 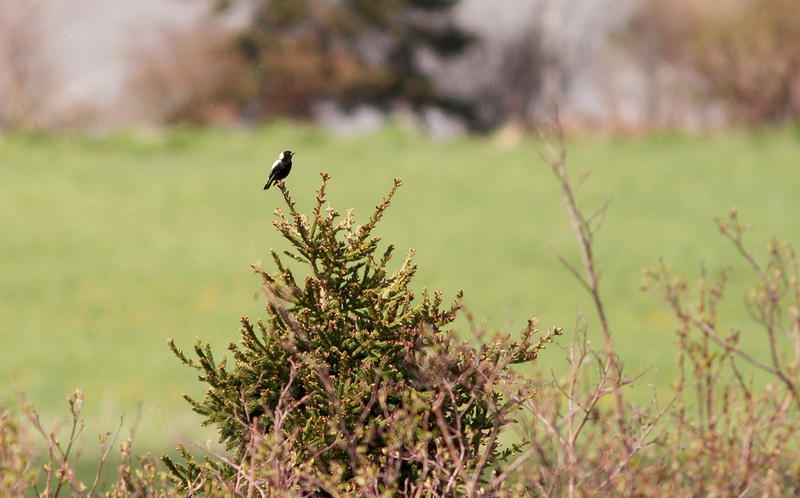 The forests of the Codroy Valley seem more alive with birds than anywhere else in the province. 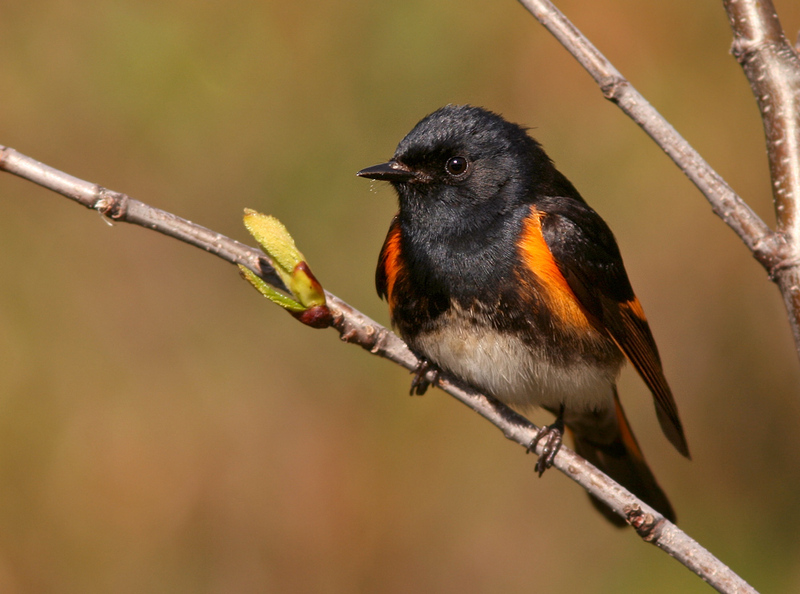 Even relatively common species like this American Redstart seem to be present in far greater numbers. Some species are considered to be “Codroy specialties”. 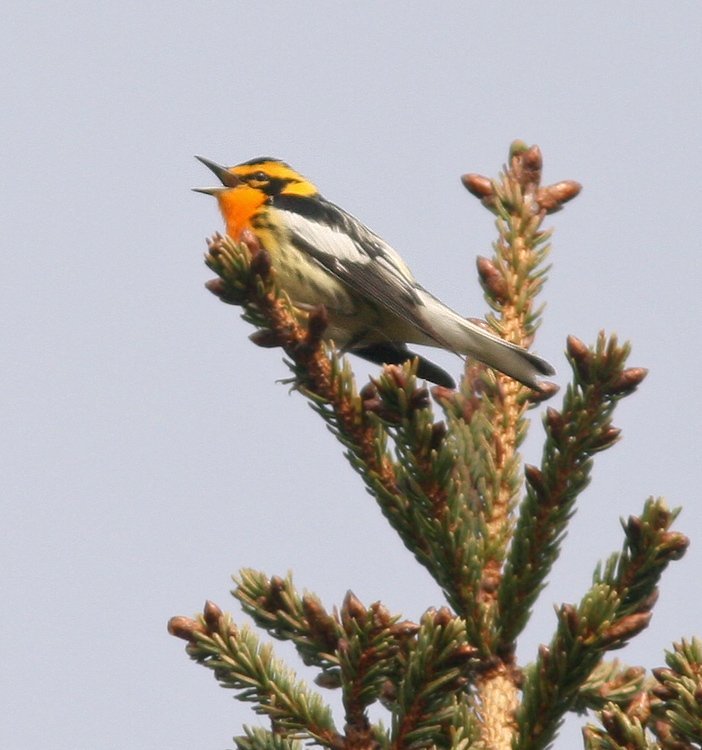 Blackburnian Warbler breed in several areas of tall spruce forest here, but not elsewhere in Newfoundland. We managed to find at least three during a morning walk along Brooms Brook Road. 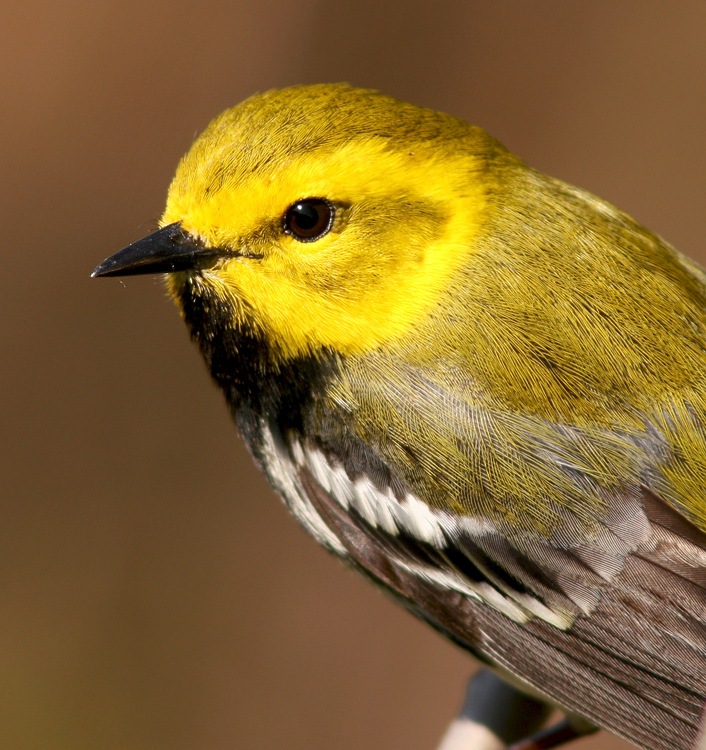 Brooms Brook, called “warbler alley” by locals, is known for hosting several species of warbler that are more typical of the Maritimes and not found elsewhere on the island. 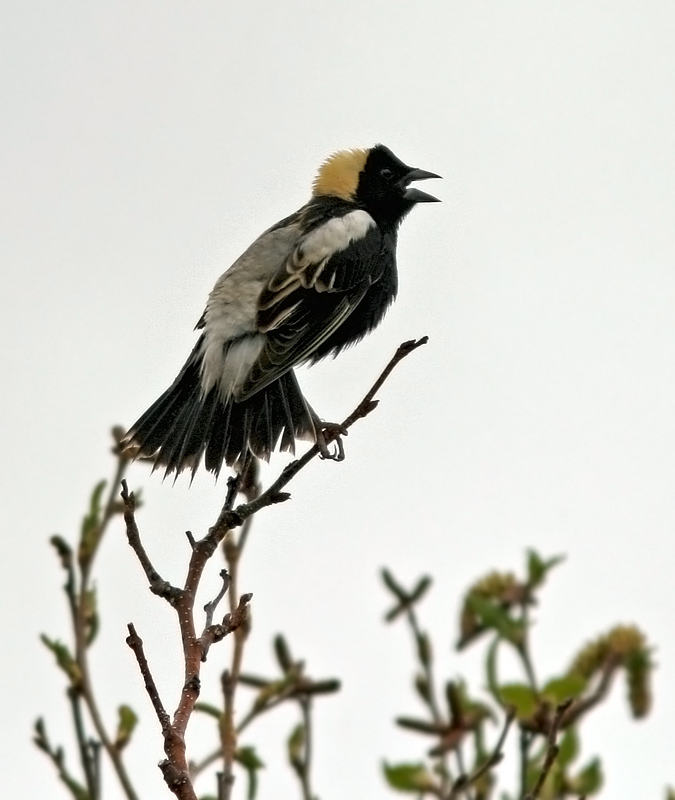 Another local “specialty” is the Bobolink. 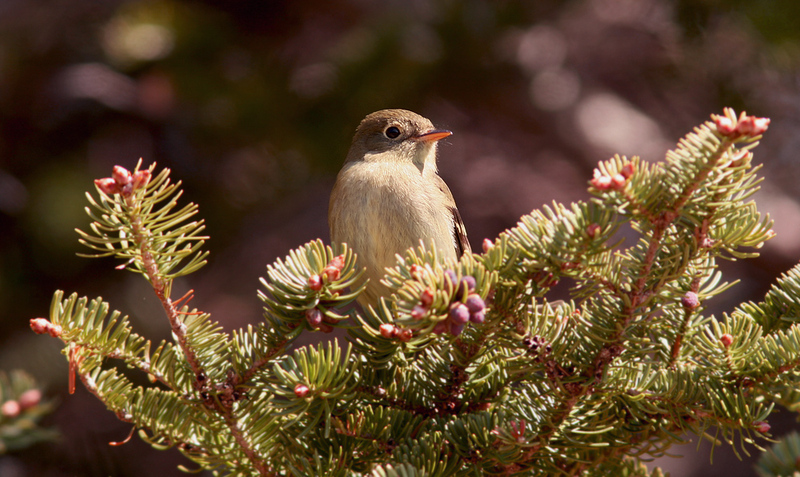 This species was once more widespread across the island, but has seen drastic population declines in recent decades is now considered a “species at risk” in our province. Its last real foothold in Newfoundland seems to be a few hay fields in this beautiful valley. Sometimes the view can distract me from the birding! I had to stop just after sunrise to take in this beautiful scene over the estuary. 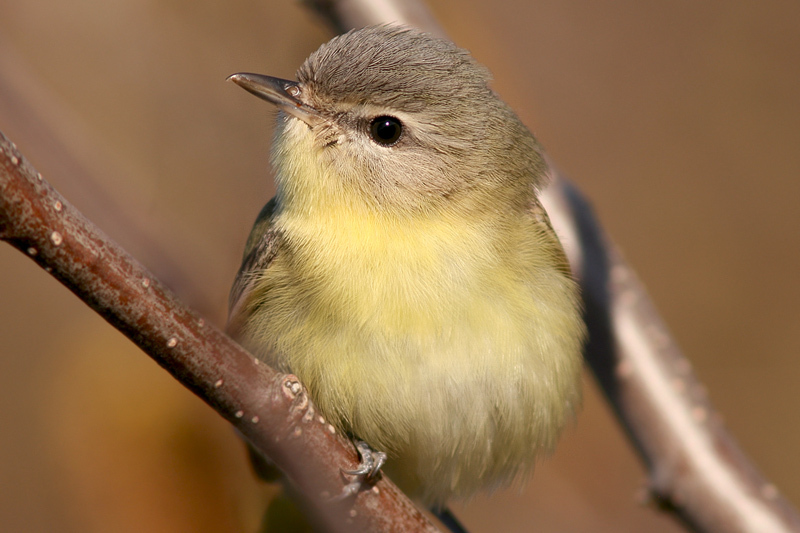 Philadelphia Vireo is another species that occurs more regularly here than the rest of the island – it is scarce at best in other parts of western Newfoundland and rare anywhere else. 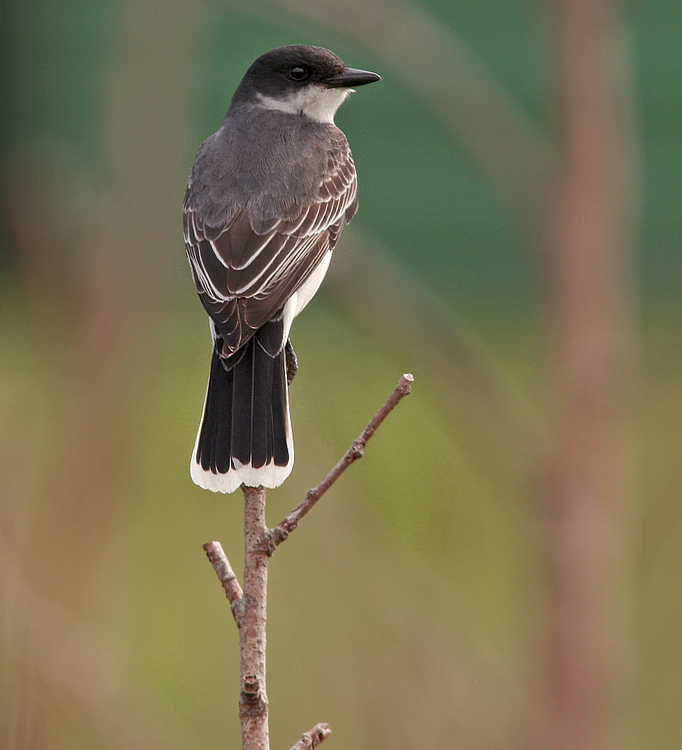 Eastern Kingbirds are regular visitors from the Maritime provinces in spring, and may even breed here sporadically. A number were spotted last week, including this obliging bird in Upper Ferry. 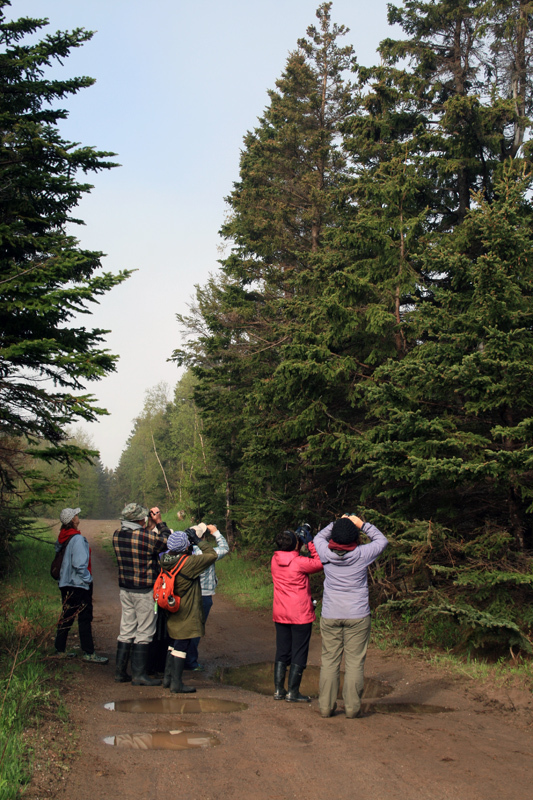 My birding group enjoying looks at the flame-orange undersides of a Blackburnian Warbler, singing from the top of a black spruce. This Snowshoe Hare was munching grass along the roadside during my first morning out. I saw numerous during the week, suggesting it has been a good spring for them. Yellow-bellied Flycatchers were calling at many locations, although most refused to cooperate for photos. We were fortunate enough to find a pair of Piping Plovers on the beach at Searston – the female tending to a nest. 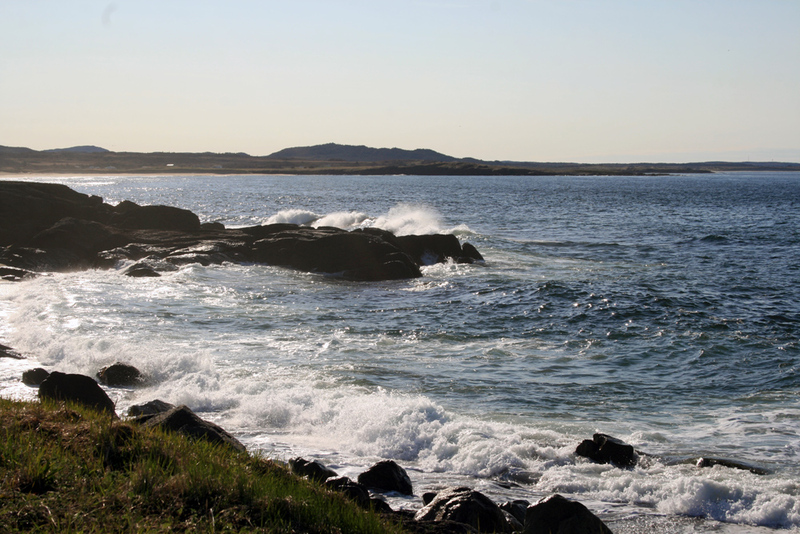 Every nest is a positive sign for this endangered species, especially in Newfoundland where appropriate habitat (large sandy beaches) is somewhat rare in its own right. 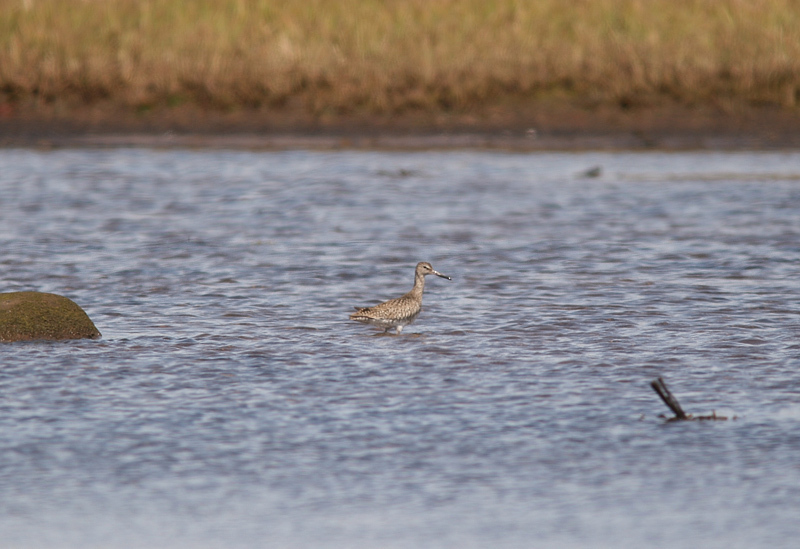 Another locally uncommon shorebird is Willet. Although a small number do breed at one or two locations further north along the coast, spotting one in the Codroy Valley was notable. 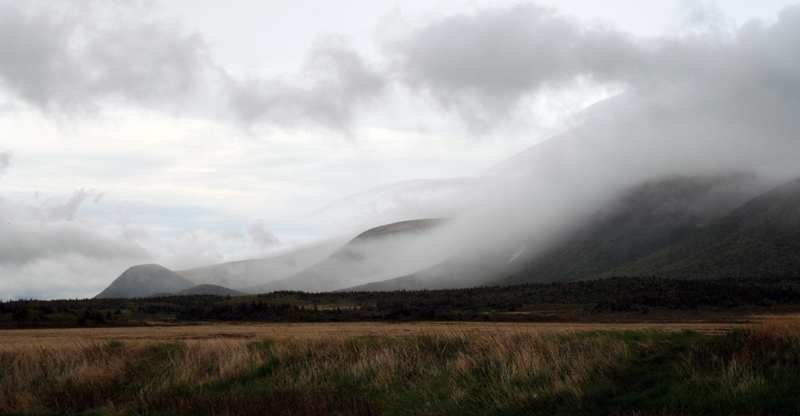 The low cloud and threatening rain over the Long Range Mountains was a beautiful sight … even if rain was the last thing we wanted! Typical of the region, a band of rain hanging tight to the mountains was clearing as we drove north from the Cape Ray area, and much nicer weather awaited us back in the valley. 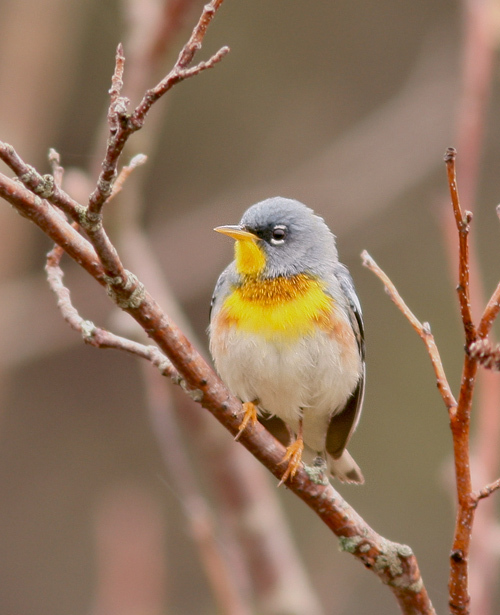 Northern Parula is another Maritime species that has expanded across the Gulf of St. Lawrence and now seems to breed regularly (though in small numbers) in the Codroy Valley. 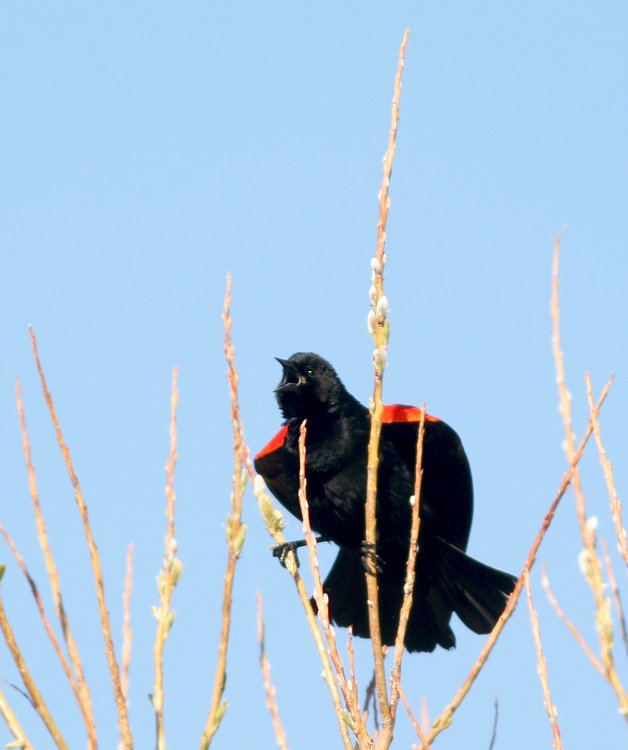 “Mainlanders” laugh at will, but Red-winged Blackbird is actually a good species to see in Newfoundland. They are sparse at best, and may not breed regularly away from the island’s SW corner. 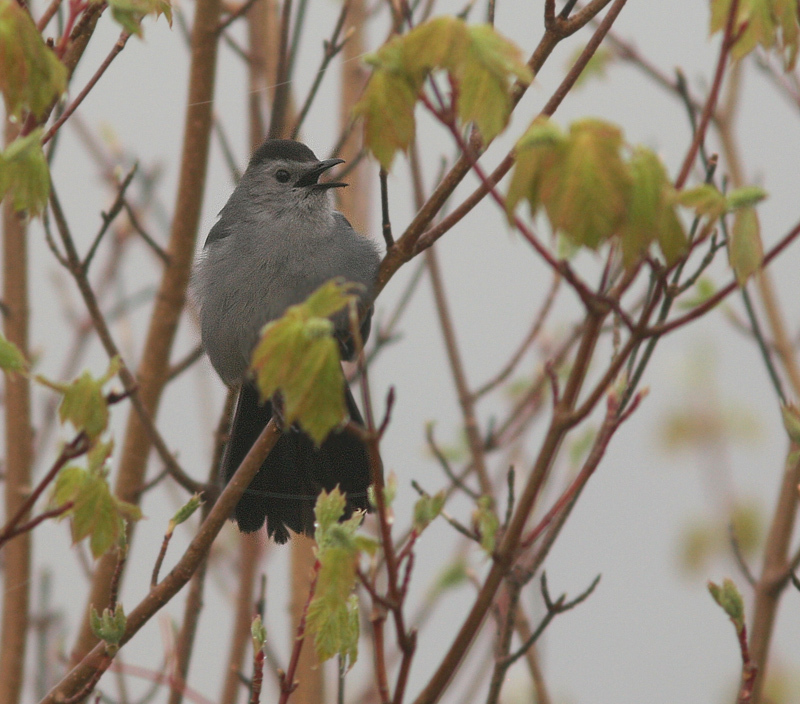 A Gray Catbird was a good find on our last morning outing. This species seems to occur here in small numbers each spring, although breeding status has not been confirmed. 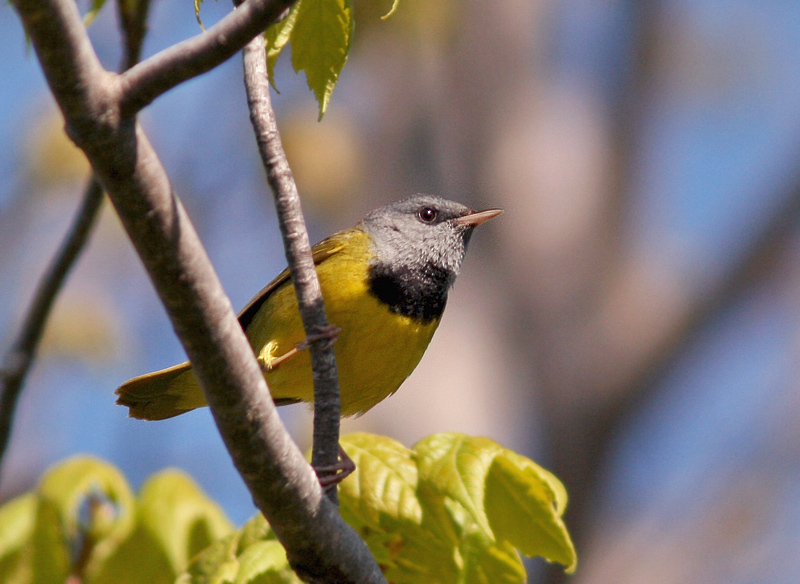 Mourning Warblers are always fun to see, despite being a little more widespread than some of the other Codroy species. This one was actually photographed in central Newfoundland on the way home. 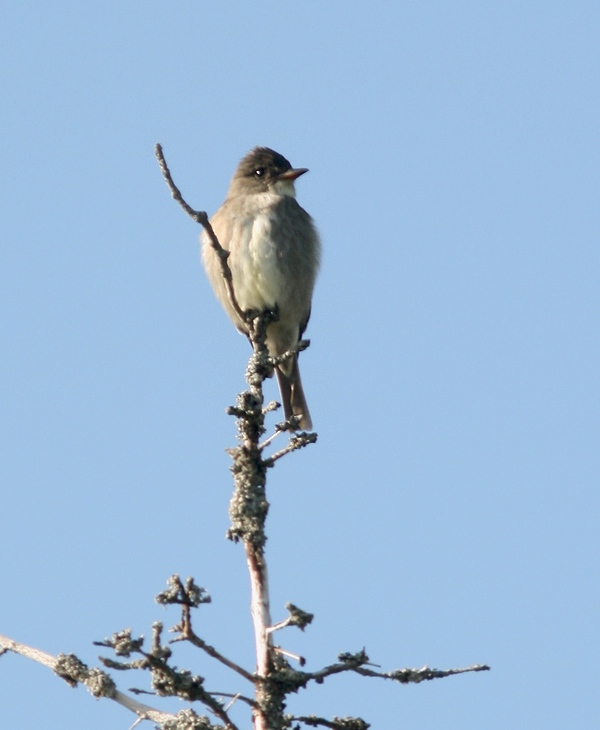 We were lucky enough to bump into this Olive-sided Flycatcher along the Wetland Trail on our very first group walk. It wasn’t calling, but seemed at home on top of a large dead snag. 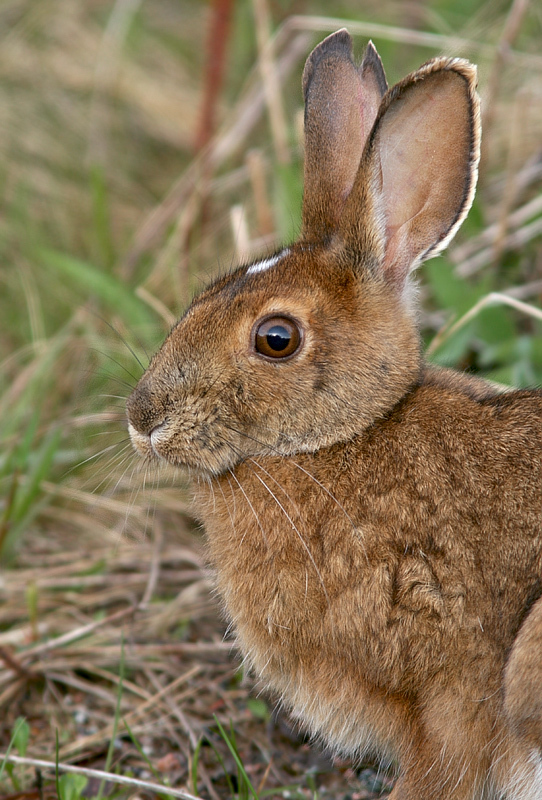 This species is another provincial “species at risk” – one of four such species we saw last week! And there is always something more to see than “just” birds. 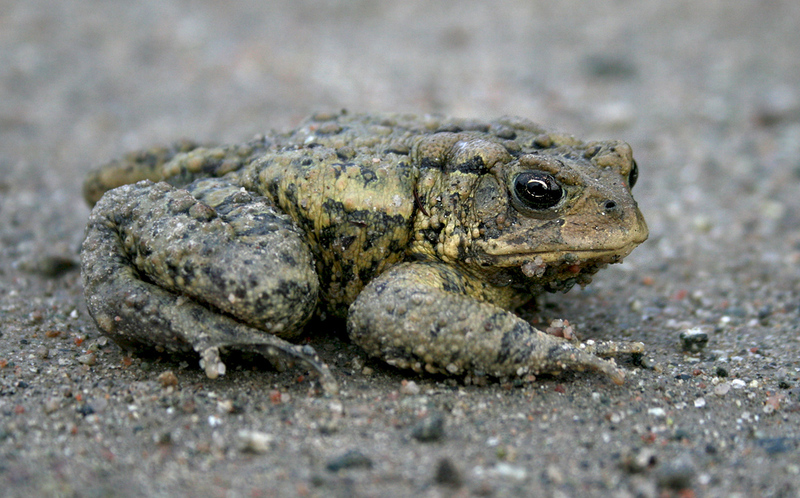 American Toads are not as well established in eastern Newfoundland, so it was fun to see several here in the Codroy Valley. 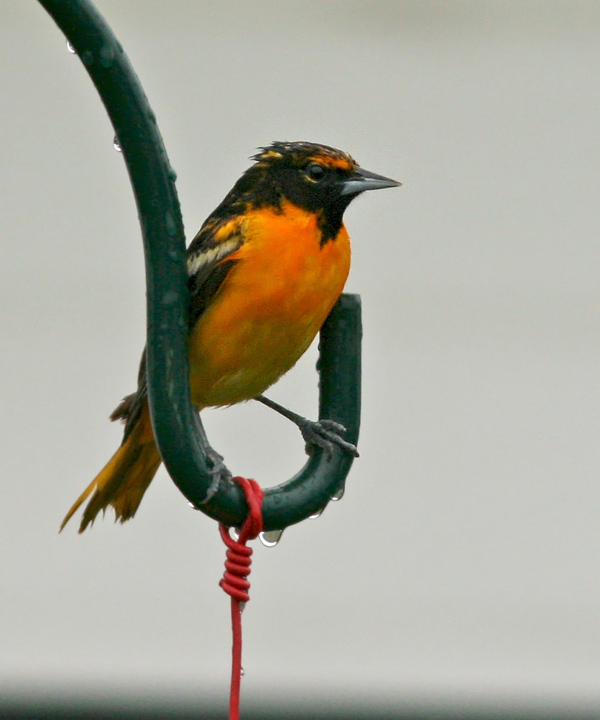 This young Baltimore Oriole was visiting a hummingbird feeder in Millville … another Maritime species that occasionally makes its way to the Codroy for a visit in spring. 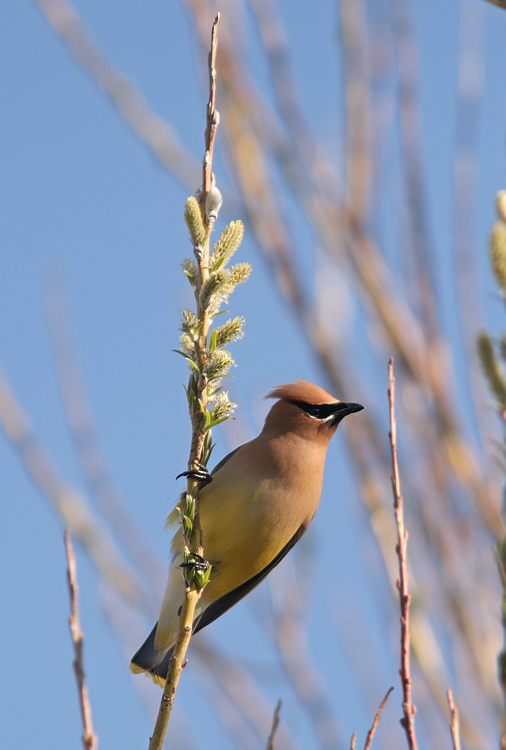 Cedar Waxwings were abundant in some areas of the valley this spring. 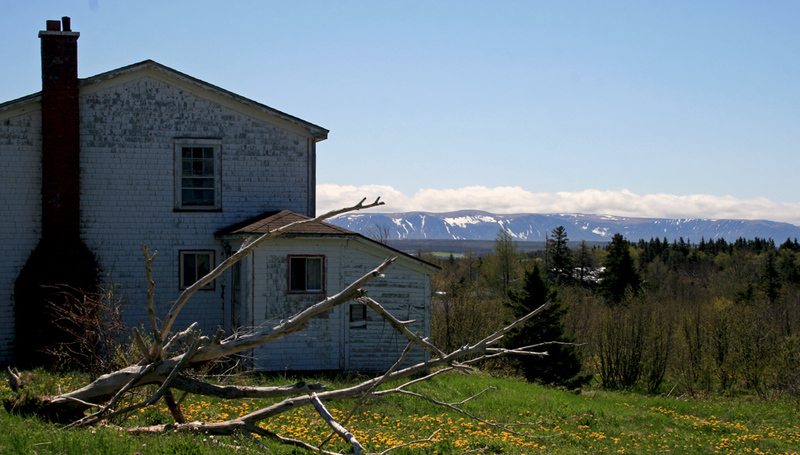 The towns of Codroy and Cape Anguille in the northwest part of the Valley are more typical of coastal Newfoundland — rugged coastlines and lovely ocean vistas. 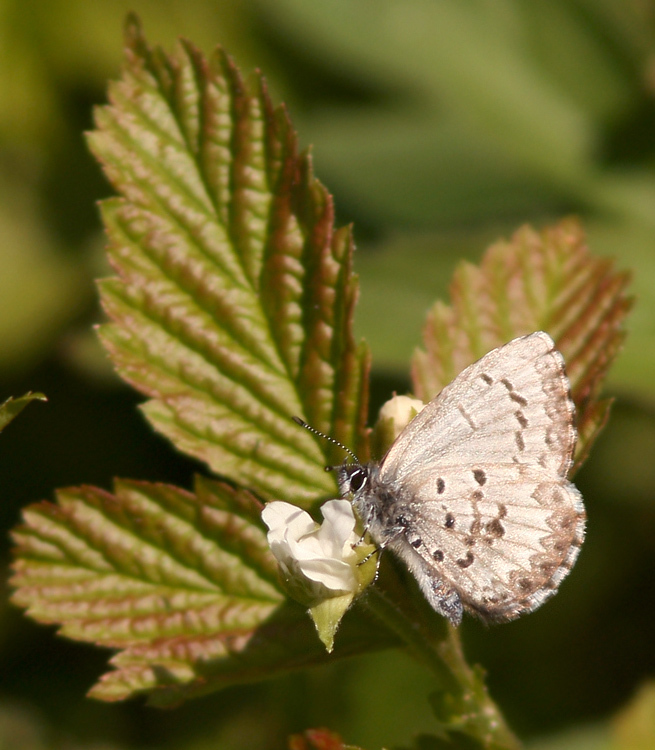 There were a few early butterflies enjoying the sun, including Spring Azures like this one. 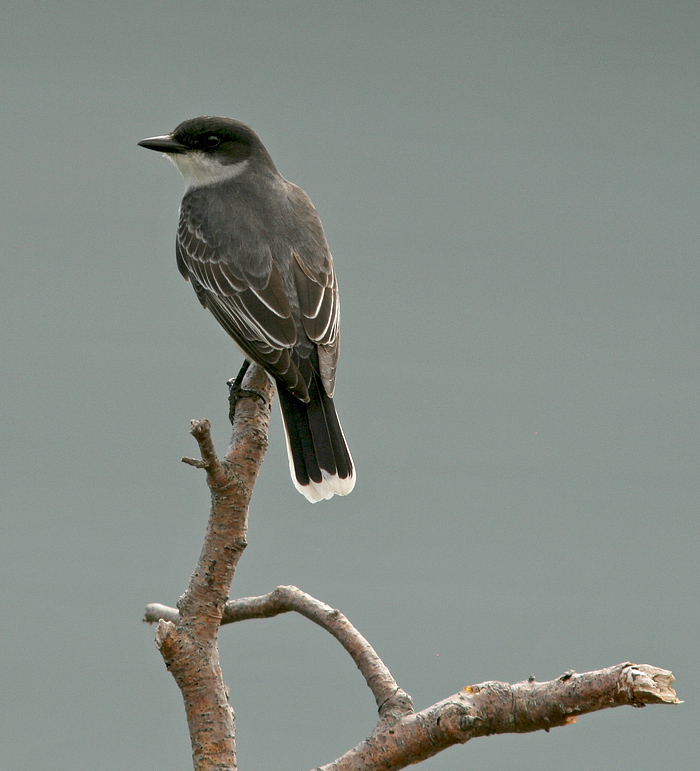 Two Eastern Kingbirds even dropped in to visit us at our cabins, flycatching from the fence in front of our deck. Goes to show that you don’t have to look hard to find great birds in the Codroy Valley! It was an awesome visit and a wonderful festival. I can’t wait to go back next year. Want to join me??? A big thank-you to the wonderful people of the Codroy Valley for making us feel so welcome, and to the Codroy Valley Area Development Association for inviting me to participate in this excellent festival!! This entry was posted in Birding Tours, Birding Trips, Newfoundland birds, Photography and tagged birds, Codroy Valley, Feather and Folk Nature Festival, nature tours, Newfoundland, Photography, Tours. Bookmark the permalink. Thank you, Alice, for the kind invitation to take part and to the committee for putting such trust in my abilities. It was a real pleasure to meet everyone, go birding, and share my passion and photos with you all. It makes me happy to hear that everyone enjoyed themselves and came away with some new appreciations and knowledge. 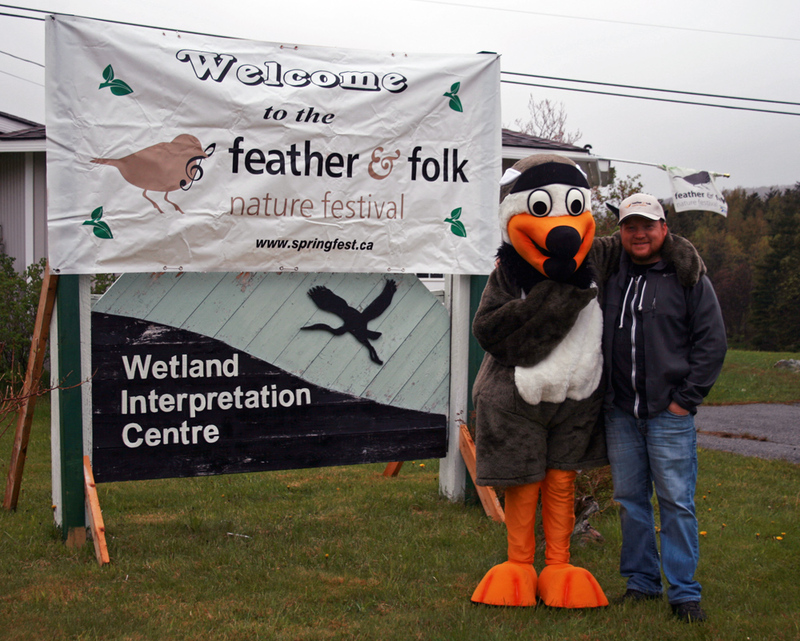 That’s exactly what a celebration like the Feather & Folk Nature Festival is all about! And I look forward to a continued partnership in growing this wonderful event! We have loved any articles we see locally about the Codroy Valley’s abundant presence of many different Birds and such a treat to those like ourselves who love viewing them . We just discovered this site and are loving it already . Thank you for this privilege . Dianne & Ewart Locke . Great! Glad you are enjoying the site … keep following for a fun summer ahead! I enjoyed your blog and read it with such excitement. Your flow of words and photographs are heart-stirring. When I registered for the Feather & Folk Festival, I never dreamed I would receive such a rewarding experience. As a first time birder, I was so lucky to have been tutored by such a passionate and persistent expert. I watched you work your magic in identifying the songs and calling the birds to the edge of thicket. I was able to take many wonderful photographs and see birds that I never knew existed. This adventure left me with a renewed appreciation for our natural environment. Thank you so much Jared, and I am waiting with anticipation for the next tour. Thank you, Nelson! You were a stalwart birder all weekend, showing up to every event and adding an extra energy to our outing. I enjoyed meeting everyone, and am always happy to share my experience (and experience is all it is — the more you get out there and look, listen and allow yourself to learn the better we all become). I also hope to see you next year and share in more excellent birding! Keep it up! Jared , I as well had a truly enlightening experience. I have always loved birds and was fascinated with their songs, their calls, and their beautiful colors and markings. But I had never really paid as much attention as I did the weekend I was introduced to you. Through you and your passion for all things “bird”, I truly felt alive and anticipated each new sighting . Thank you for sharing your knowledge and love of these gorgeous creatures. My eyes and ears are more open then ever. I look forward to seeing you again next year and taking part in more amazing adventures. Thanks you for such kind comments, Beverley. I also enjoyed meeting you, and sharing the birds and beautiful settings of the valley with everyone! I hope to be back next year! I’ll be visiting the west coast the first week of October and wondering if that will be too late to see interesting birds in the Codroy Valley. Or will they have migrated by then? Thanks! October is a beautiful time of year and can be interesting for birding, but many of the breeding songbirds will have migrated by then. There are of course some resident species which are always interesting, and it is great time to look for interesting migrants that are passing through or may even be a little off-course. The Codroy Valley is probably an exciting place to do that (given its location and habitats), although very few birders visit there at that time of year and we have a lot to learn about fall migration in the area. I’d be very happy to hear about anything you see while visiting!